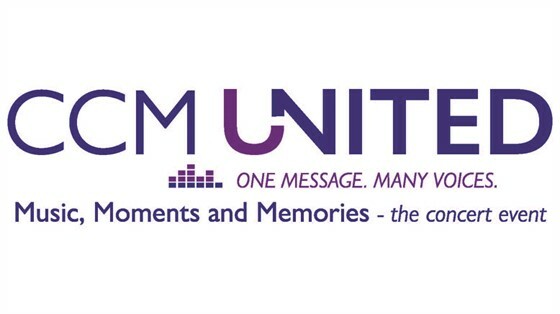 CCM United - Music Moments & Memories is a special 2 night event featuring top classic CCM artists. Come both nights or just one night and see such artists as DeGarmo and Key, The Katinas, Big Tent Revival, Guardian, Phil Keaggy, Bruce Carroll, Wes King, Al Denson, Tammy Trent, Geoff Moore, Clay Crosse, Rick Cua, Jaci Velasquez, and many more (up to 10 artists per night).. Proceeds will support the Gospel Music Trust Fund. Come and experience special moments with some of the best music and while creating memories for a lifetime. Special Offer Available When You Purchase Tickets For Both Shows! We are offering $10.00 off for anyone who purchases a ticket for both nights. Just select the "Two-Show Discount Admission" price for $5.00 off each ticket! Before the first show, we will verify that all patrons with "Two-Show Discount Admission" tickets have purchased an equal number of tickets for both nights. These tickets do not have to be in the same section of the auditorium. Please contact the Franklin Theatre box office if you have any questions regarding this special offer. Read more about his special two-day event here. Please note: By purchasing tickets to this event, patrons grant permission to the Franklin Theatre to share their contact information (i.e. name, address, email) with CCM United. If you have any questions in this regard, please contact the Franklin Theatre prior to your purchase.